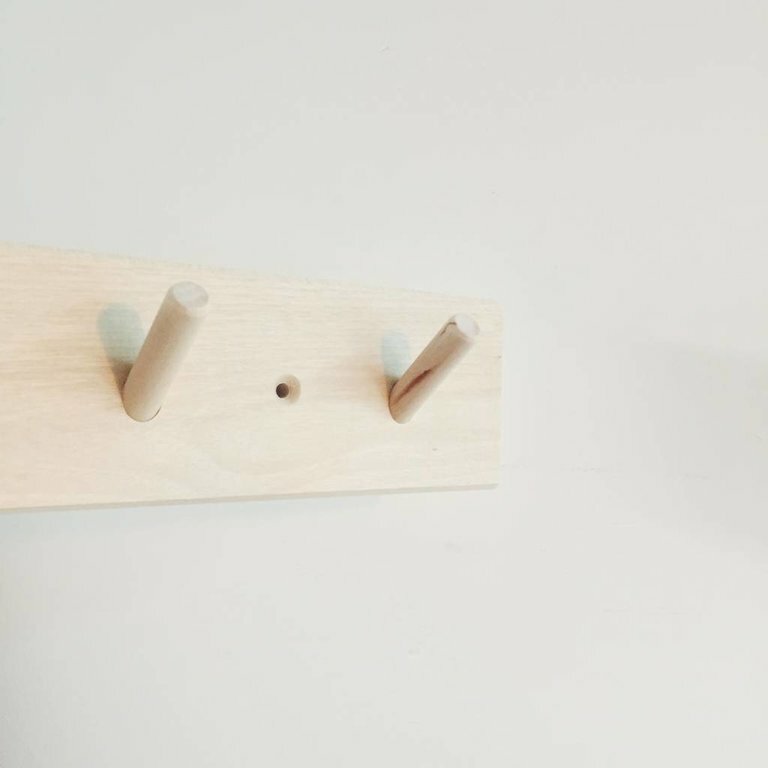 Birch rack with 4 pegs. Rack with 4 pegs. Its length is 38,7 cm, its width 7,5 cm and height 5,5 cm. This rack is made out of birch. This product does not require special care. This is a rectangular hanger that will carry ties, necklaces, scarfs and dish towels. It measures W37cm x H21cm. The hanger is handmade out of brass. 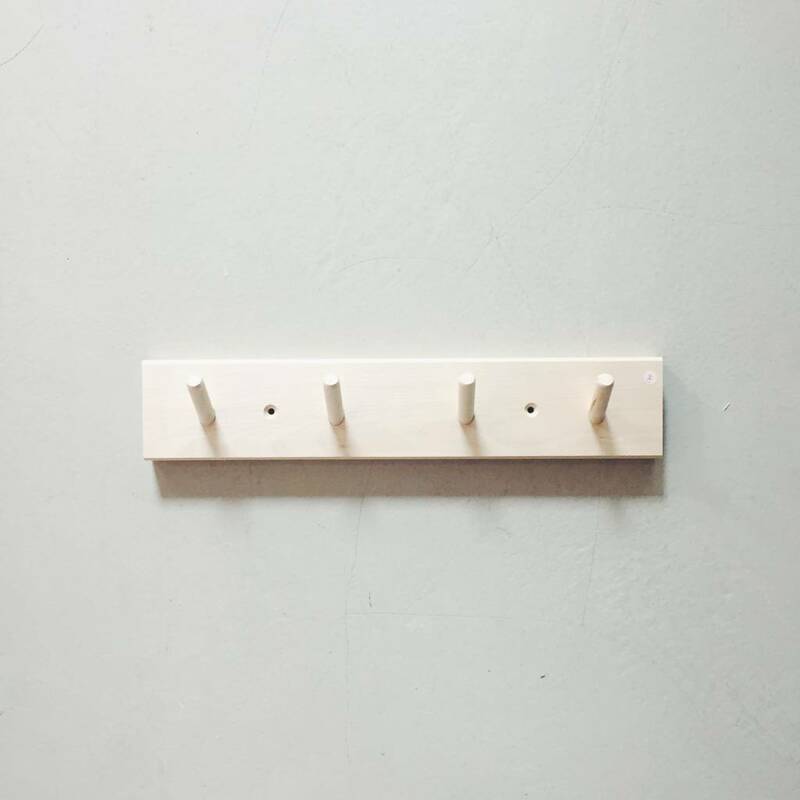 Birch rack with 7 pegs.